Twenty days alone in the middle of the ocean: this is what Simon will live this autumn. An extraordinary technical, but also psychological and mental endeavour! 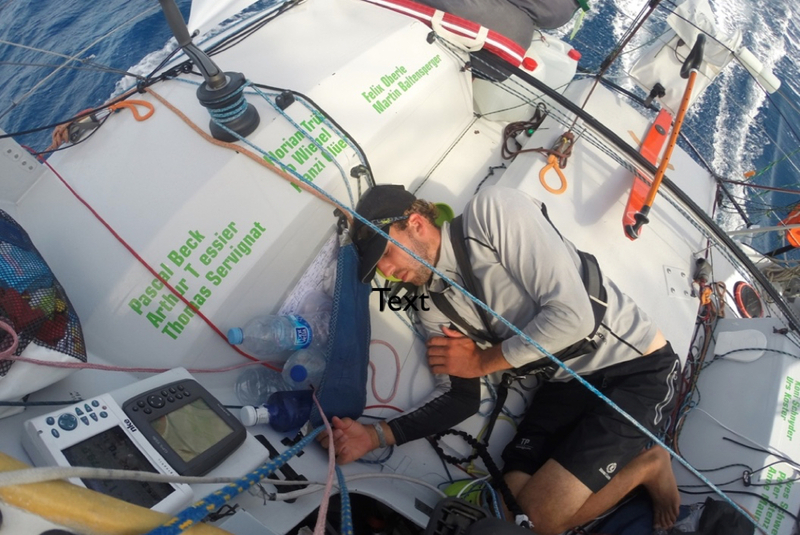 Preparing the boat and the technical aspects of the race is one part. Preparing the man is the other one. For this crucial aspect, Simon has been working with ONEDAY coaching for the past three years. His coach, Thomas Theurillat, tells us how they prepared for the Mini Transat. « When we started our collaboration, I spent 24 hours with him while he was building his boat; I wanted to see how he behaves when he’s tired. The challenge in this regatta is not only about sailing, it’s also about self management. The difference won’t be made only by sailing, but by the sailor who is the best at self management ! It’s not a marathon, it’s an ultra-marathon. There is a lot to learn from single-handed sailors. They have a job list and a goal; they have to work on their priorities in order to do everything by themselves. I worked with Simon on imagining the « perfect day » on the Mini Transat. Anticipating every moment of the day on the water will help him set his list of priorities. For example : he should focus on his strength. A soccer player knows what he is good at, and will play at this position with a precise role. If Simon is good in strong winds, he should give it all when there are « his » conditions, that’s where he can win places. And rest in the other moments. He has to set a list of priorities, including rest time. Most mistakes are done when people are tired. Not sleeping during 24 hours makes you feel the same as having 1 ‰ alcohol in the blood…! You lose so much when you’re too tired to realize that the wind is changing direction. This entry was posted on September 22, 2017 by simonkoster. It was filed under Uncategorized .